November 25, 2014 will go down in the annals of BRU’s history. Yesterday, the Belgian airport was knighted by IATA’s Chief Tony Tyler for having developed into a Center of Excellence in handling pharmaceutical and biotech products. 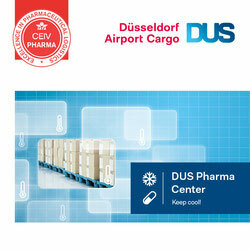 BRU is the first airport worldwide to receive the ‘Center of Excellence for Independent Validators Pharma certification’, dubbed CEIV Pharma. 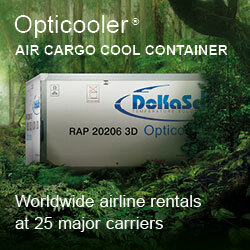 Pharma and biotech products tend to become something of a new Eldorado for the air freight industry. Why? Because this segment is expanding rapidly, outgrowing most of the other products flown in the holds or main decks of aircraft around the globe. And highly important: it pays well since the air freight rates for these very sophisticated and demanded items are high, enabling carriers to make satisfying yields. This all the more since “75 percent of all pharmaceutical products are transported by air,” outlined CEO Arnaud Feist of Brussels Airport at yesterday’s CEIV Pharma event, held at his airport. And music in the ears of the transport industry must also be the fact that pharma and biotech are growing remarkably by 8 percent on average year by year – on a global scale. Meanwhile, the total market value of these specific goods is estimated to reach $300 billion annually, Director General and CEO of IATA, Tony Tyler revealed. But what happens in case shipments are mishandled, falsely stored or otherwise mistreated? Touching this critical topic BRU’s helmsman Feist pointed out that the financial damage can be tremendous. For instance, in case a consignment of vaccines gets overheated or antiretroviral drugs to fight Aids are falsely handled somewhere along the supply chain from origin to destination. Arnaud also delivered a precise figure to illustrate the annual losses occurring through handling mistakes, operational errors or losses of shipments: they sum up to as much as $12 billion per year, the manager said. So it’s of utmost interest of the pharmaceutical industry to partner with service providers who secure door-door carriage of the shipments according to the specific handling needs, providing services without any hiccups. At least since yesterday, it can be assumed that BRU is listed on top position by them. How high valued BRU’s approach is to improve the supply chain of pharmaceutical products was visually demonstrated to the 50-plus participants of the event by IATA’s Chief Tony Tyler who came over from Montreal to join the celebration. 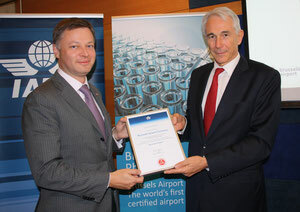 “Congratulations Brussels Airport for being awarded the CEIV certification and ensuring the integrity of this sensitive product by implementing state-of-the-art handling processes,” IATA’s helmsman stated while handing over the certificate to CEO Feist. For the Belgian capital’s gateway it’s the much sought official recognition for their strategy, which dates back to 2010 and gathered momentum last December in order to focus on pharmaceuticals and temperature sensitive items and become CEIV certified. To deliver the service expected by pharma and biotech producers BRU started the preliminary work on the certification program in 2010. Of great support was a 2011 conducted study by the Flemish lnstitute of Logistics (VIL), in which all quality requirements demanded by the pharma industry for the safe handling of their air shipments are listed. In addition “we started our own investigations to find out the deficiencies and gaps within the supply chain for overcoming them and offer the market better solutions,” recalls Nathan de Valck, Cargo Accouint Manager at Brussels Airport. Based on the findings, BRU’s cargo team developed a check list and started grouping the different players together to raise their awareness for setting new standards in managing these kinds of sensitive and valuable products to mutual benefit. “The CEIV certification we now obtained is the result of a multi-year process of research and focus on pharma by BRU Cargo,” Nathan sums up. Manager Feist admitted that when kicking off the Pharma Excellence program it was quite a challenge to convince all the different actors, from ground handling agents, forwarders to shippers and airlines to pull in one direction for setting this landmark project on track. 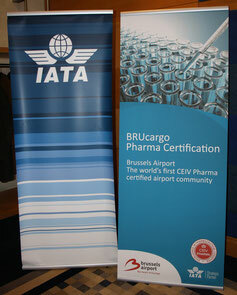 “But despite their commercial rivalry, at the end our team members of BRU Cargo were able to convince them all that once the mission is accomplished it will be to the benefit of each individual participant and, furthermore, place Brussels Airport on the landscape as center of excellence for pharma handling,” Arnaud stated. According to charts presented by him, Belgium is a hotspot for the pharma and biotech industry, proven by 32 companies that are located there, among them multinationals like Pfizer, GlaxoSmithKline or Baxter. They secure 32,500 jobs and account for 10.5 percent of Belgian’s total exports. Final remarks from IATA’s Chief Tyler, who is convinced that “the valuable initiative by Brussels Airport will gather pace as time goes on and deliver value to customers and producers.” He went on to say: “We have some other airports in the pipeline to get certified,” without revealing any name. Tony didn’t exclude that BRU’s pharma project might be a model for other industries to join forces for improving the supply chain.